Malcolm is installing a total of 16 access shafts for a new CSO project in Indianapolis, Indiana that is part of the state’s long-term water control plan. 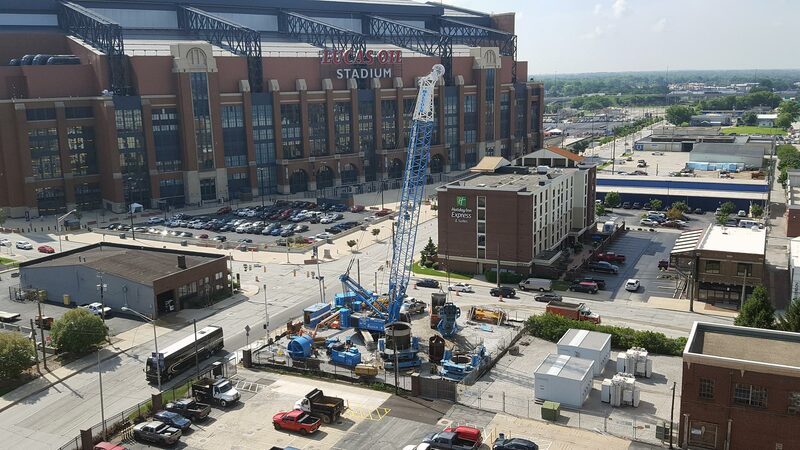 This project is unique in that it is the first time a steel liner for the drop shaft will be installed with the biggest oscillator in the world- our Leffer VRM3800, weighing in at around 200,000 pounds! To learn more about this impressive installation contact Tait McCutchen at tmccutchan@malcolmdrilling.com or visit our project page.